Kalix airfield (swedish: Kalixfält or F21K Kalix) was an airfield 780 kilometer North-Northeast of Stockholm. It was built as a small civil field built between 1936 and 1941 as an unemplyment project. It was taken over by the Swedish Air Force in 1942. from 1943-1944 it was expanded and received three hardened runways, Kalix is known to have had reconnaissance S17B's based at the airfield: In September 1944 5./F3 was set up at Kalixfält with eight S17 and a single S14 (Fieseler Storch). Their mission was to follow German retreat from Finland. In late October 1944 they flew from Kiruna, although 4.gruppen F3 (IV/F3) remained based here. After the war ended in 1945, it became a practice field, but it appears it was used rather little, as it did not aquire a field number. It is not known when the airfield closed. 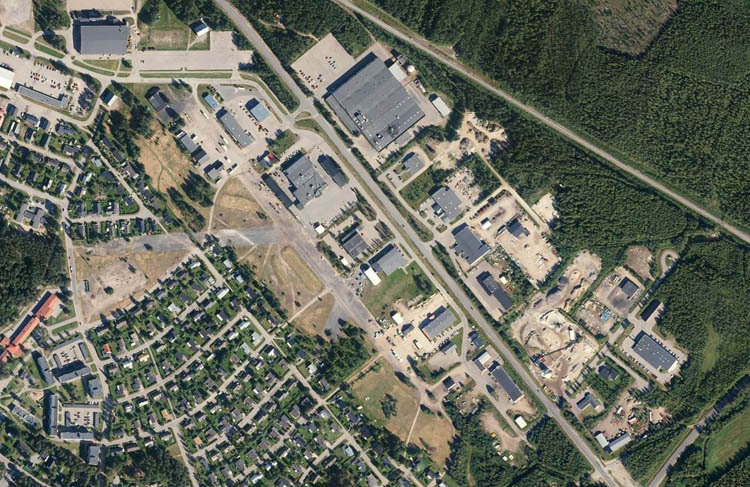 After the airfield closed, it was largely built over by the city of Kalix. 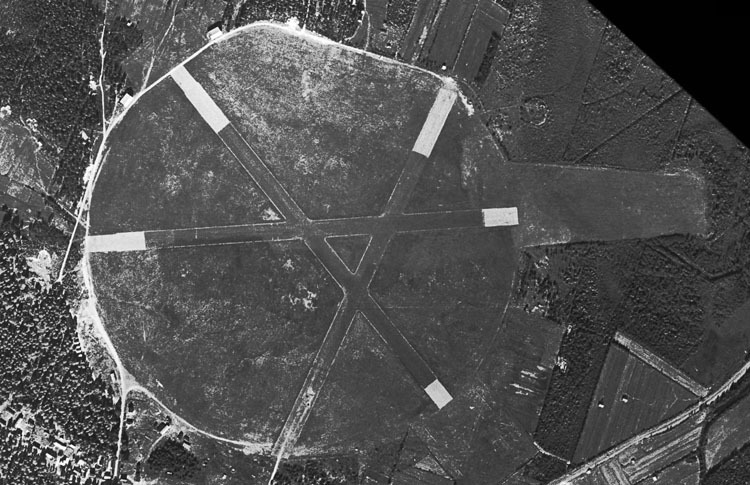 Some parts remain however, mainly runways, of which the 14/32 is the most complete. It more or less forms the boundary between a residential area and a commercial zone. Many thanks to Per Jelkne for pointng out this airfield!